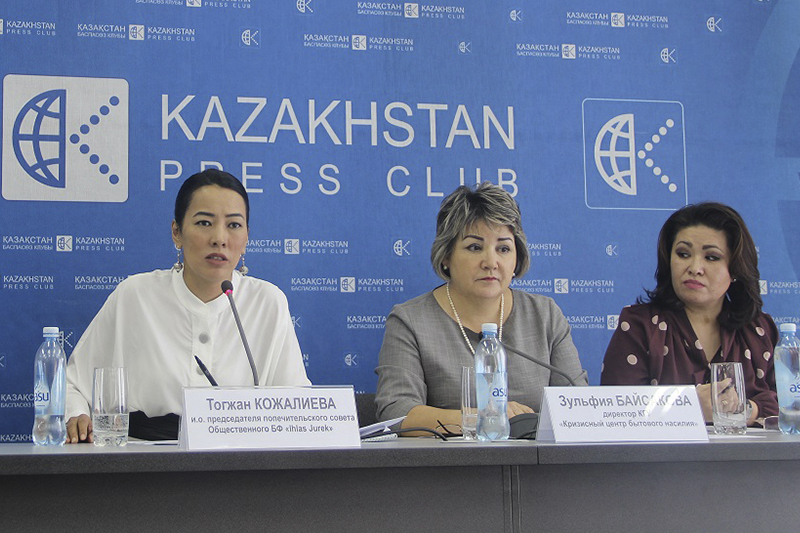 ASTANA – Kazakhstan will soon have a new women’s assembly, Aruana, the leaders of nongovernmental organisations in the country announced March 19. The domestic violence crisis and information centre Ihlas Jurek and the Children of Kazakhstan charity foundation have united to help address the major problems women and children face in society. Togzhan Kozhaliyeva ( L). Photo credit: inform.kz. “Our main mission is to gather all women’s organisations and unite our common efforts. 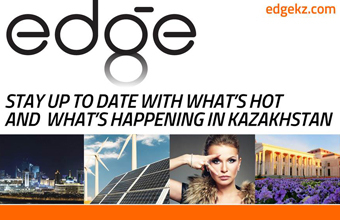 We invite all Kazakh nongovernmental organisations to join us. Women’s voices should be strong and confident,” said Ihlas Jurek Fund Chair Togzhan Kozhaliyeva. Kozhaliyeva previously worked with employee unions in the oil and gas sector and developed social policy. She has served as deputy chair of the Liberal Movement of Kazakhstan, executive secretary of the For the Future of Kazakhstan youth movement, advisor to the chair of Kazakh Instrakh and executive director of the Kazenergy association. “I know that dialogue is essential. We created a commission on social issues, and all the previously divided unions began to discuss urgent issues. Taking into account my experience in working with unions, we had the idea to create this association,” she said. Ilhas Jurek and Children of Kazakhstan have applied for their new entity to be legally recognised. The members of NGOs now help large families and low-income families, single parents and victims of domestic violence. Financial and legal illiteracy among mothers of large families and single mothers is one particular urgent problem. “It is important to know how state programmes are implemented and how families spend social benefits. Sociological research will reveal this information and we can take further steps in this direction,” said Kozhaliyeva. They intend to identify the most acute problems of Kazakhstan’s female community, to develop solutions and mechanisms to implement them, to analyse state programmes serving women and families and to create a directory of all women’s NGOs. They intend to open public service centres to advise women and families based on this experience and analysis. “We will help to increase professionalism in their jobs, to help them become financially independent. We will distribute vouchers to children from large families to visit various clubs for free; to organise classes of paediatricians on proper nutrition, childcare and healthy lifestyles. Women will have access to consultations with lawyers, psychologists and social workers. Each woman will get assistance, and families in difficult situations will become families that can continue to live and develop,” said Director of the Domestic Violence Crisis Centre Zulfiya Baisakova. The first consultation centres will be opened in Almaty. The organisers intend to attract sponsors and apply for state grants for their activities and to offer legal assistance in preparing documents for housing programmes. They also plan to lobby Kazakhstan’s lawmakers. “We invite all NGOs to partner to develop a programme and build an action plan. We want to solve problems systematically, including at the legislative level, to analyse normative legal acts and to propose solutions to government agencies through the National Council for Women and Children. We want to organise a female lobby in the Parliament,” she said.